House prices in the Brussels region rose by an average of 4.1% last year, and prices for apartments were up 1.6%, according to new data from notaries. 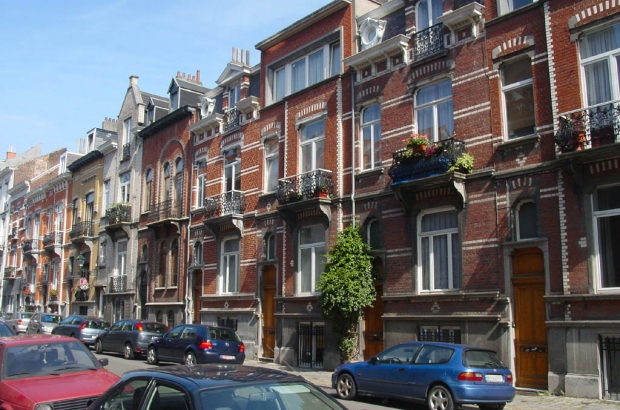 Despite a growing population and low interest rates, the real estate market in Brussels remains relatively stable, the report suggests. However there are big variations from one district to the next, with Ixelles and Ganshoren house prices up 21.7% in a year, Forest up 11.4% and Woluwé-Saint-Pierre up 9.3%. House prices in Koekelberg fell 25.9% on average and Uccle was down 9.6%. As for apartments, Saint-Gilles saw the biggest price rise (15.3%) followed by Brussels-City (13%) and Uccle (8.7%). Apartment prices fell 9.4% in Saint-Josse and 5.2% in Anderlecht. The notaries' report says some districts are playing catch-up with neighbouring areas, and the presence of new-build real estate projects in some areas boosted the local market.